Cherry fruitwood with white marble top. 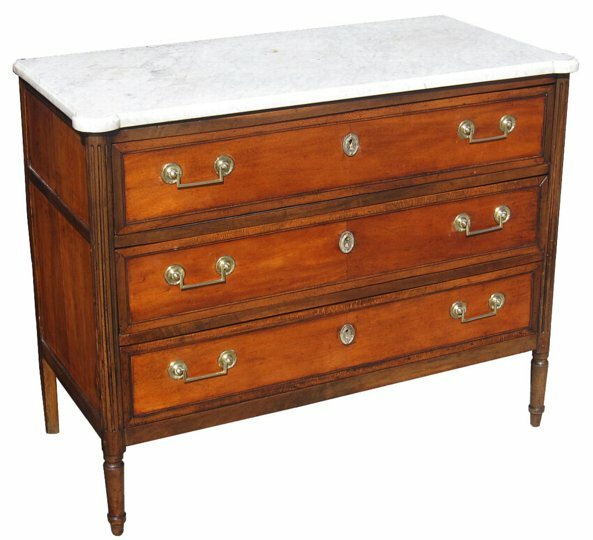 Drawers with brass hardware. H: 35 " x W: 41 " x D: 21 1/2"